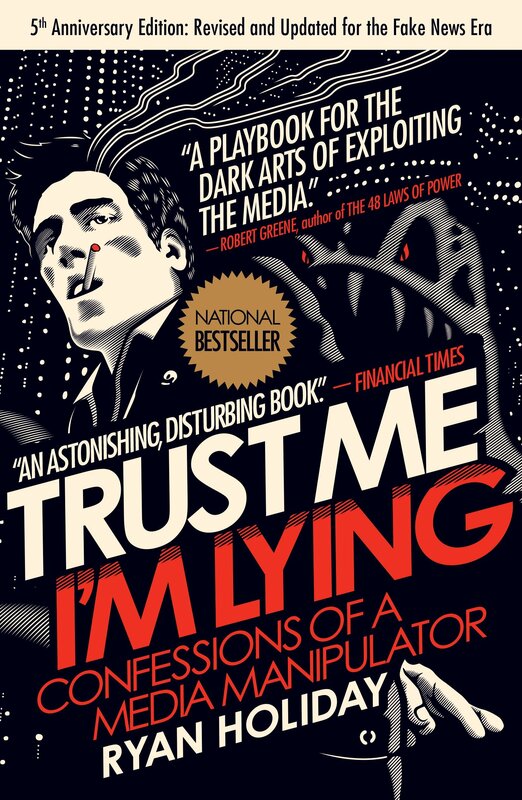 Hailed as “astonishing and disturbing” by the Financial Times and “essential reading” by TechCrunch at its original publication, former American Apparel marketing director Ryan Holiday’s first book sounded a prescient alarm about the dangers of fake news. It’s all the more relevant today. Trust Me, I’m Lying was the first book to blow the lid off the speed and force at which rumors travel online—and get “traded up” the media ecosystem until they become real headlines and generate real responses in the real world. The culprit? Marketers and professional media manipulators, encouraged by the toxic economics of the news business. Whenever you see a malicious online rumor costs a company millions, politically motivated fake news driving elections, a product or celebrity zooming from total obscurity to viral sensation, or anonymously sourced articles becoming national conversation, someone is behind it. Often someone like Ryan Holiday.